Thank you so much for working with us on this recent project. some feedbacks about our services for the past project. If you are happy with our services and would like to refer us to your contacts, that is even better because we have a special gift for you, please check it out! 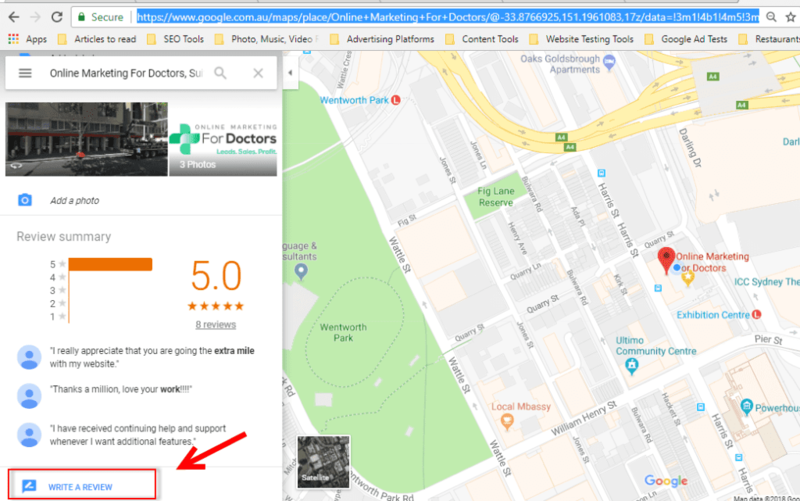 Step 1: Go to the OMD listing on Google Maps. Then and scroll abit down and look at the left corner for a “Write a Review” button, please click on it. 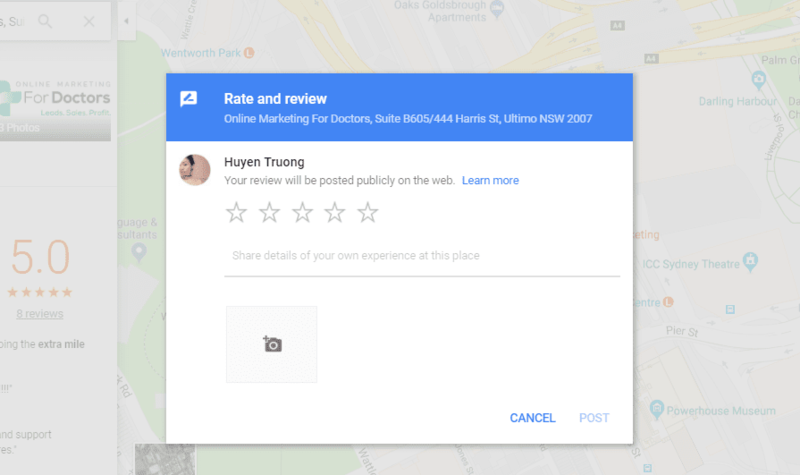 Step 2: Login your Gmail to leave your detailed review with the rating and click “Post”. 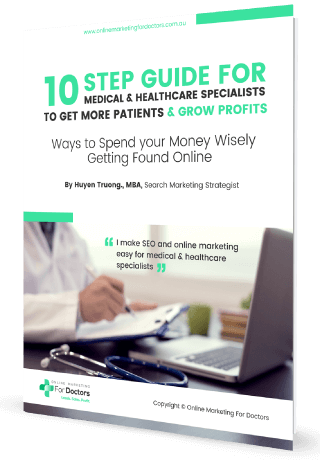 On behalf of Online Marketing For Doctors Team. 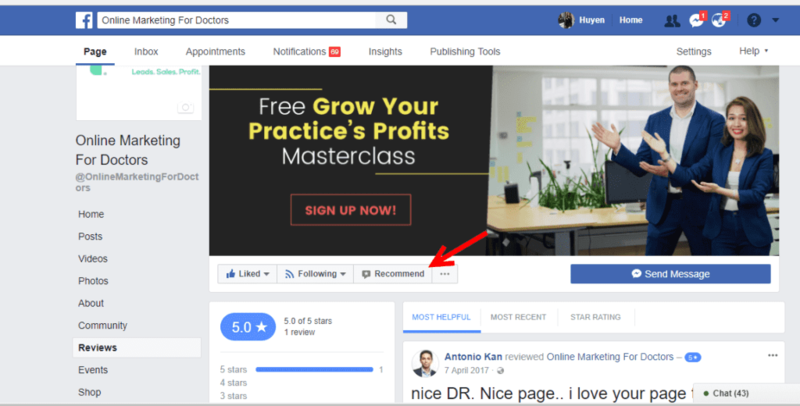 Step 1: If you don’t have Gmail but on Facebook, please leave your review by clicking on this link to our Facebook page. 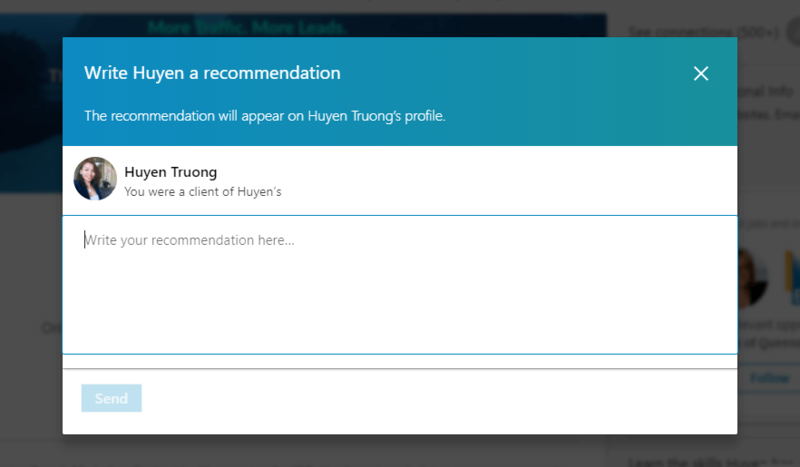 Step 2: Click on “Recommend” button and leave your review. 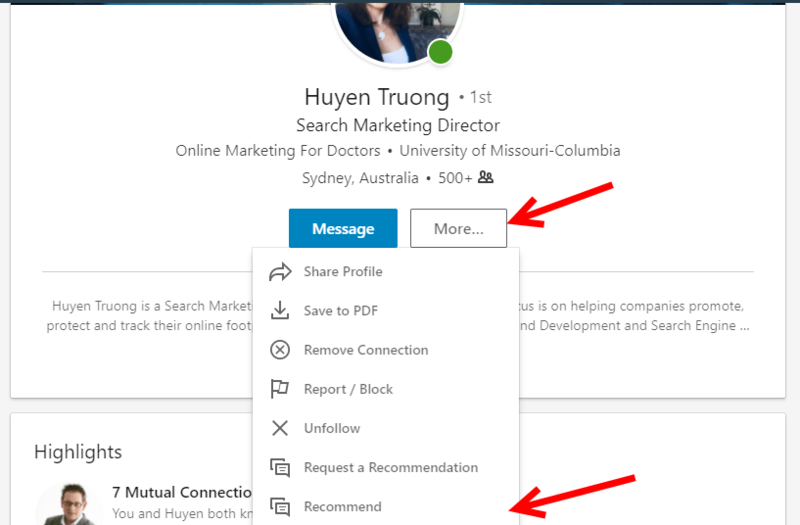 Step 2: Once you are in the connection, please visit her profile https://www.linkedin.com/in/huyentruong/ and click on “More” button and once you see the dropdown, please click on “Recommend” tab. 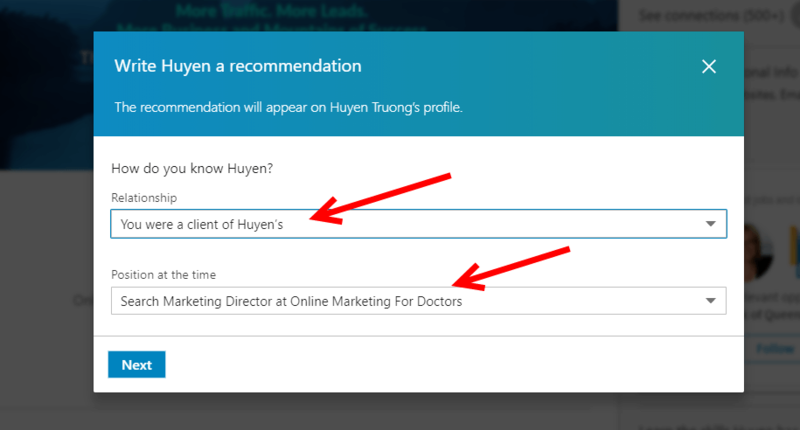 Step 3: Select these options for “How do you know Huyen?” and “Position at the time. In order to thank you for your recent project and your potential referral of our services (Web Design or SEO services) to your contacts. 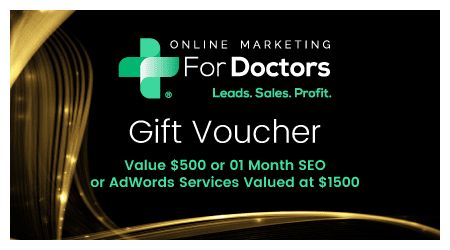 We are happy to give you $500 cash voucher or 01 month SEO or AdWords promotion which is worth $1500 if you want to invest it back to your business, when we are referred successfully to your contact. 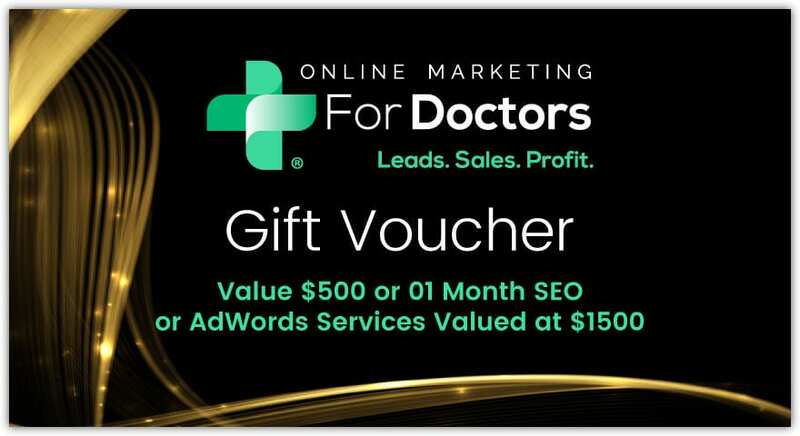 Please click here to download this voucher and save it for your future referral. Thank you very much and we look forward to assisting your contacts with any potential projects.